Tonight the boys varsity tennis team went up against conference rival Dundee Crown, beating them 6-1 in a well fought meet. Huntley won two out of three of the singles matches. Senior Brendan Hagn lost his match in five sets at 6-7, 7-6, 2-6, 10-12, and 7-5, in what would be the only win for Dundee Crown. Sophomore Keaton Newsome won his match in two sets at 6-0, and 6-2. In the last match, senior Josh Simons won in five sets, at 6-3, 6-7, 7-6, 6-8, and 7-3, in a match that lasted almost three hours. “It was a tough match, mentally, and physically, in the end we had the experience, and I’m really proud of Josh for that win,” said Coach Barry Wells. 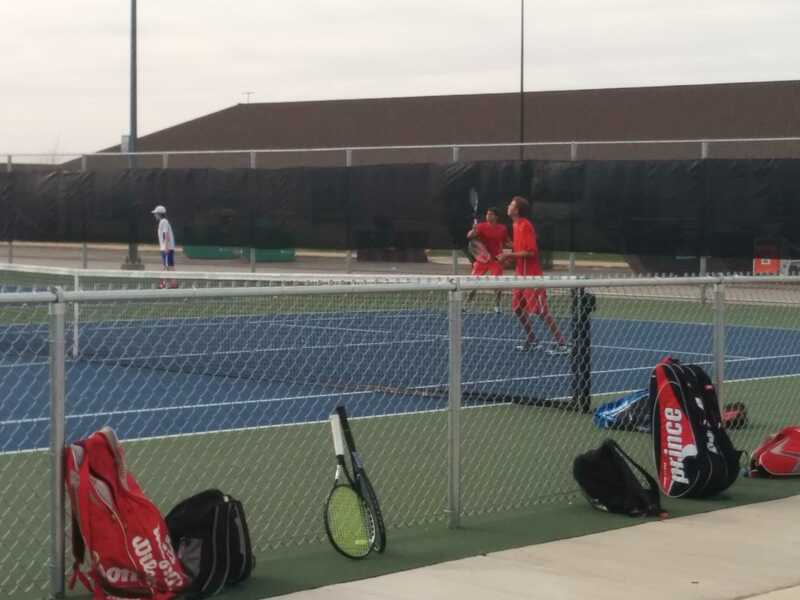 Huntley swept Dundee Crown in all four of their doubles matches in a dominant performance. Junior Jake Grabner and senior Riley Michel won 6-3 and 6-3. Seniors Jason Downs and Nick Mihiau won 6-3 and 6-3. Freshman Jack Soderwall and sophomore Charlie Burian were victorious in a decisive 6-1 and 6-0. Another bright spot on Huntley’s team was doubles pair Ben and John Cazel, who also happen to be twin brothers. The Cazels won their match 6-1 and 6-0, they showed good chemistry in their victory. “They’re 2-0 so far, and John has been a nice addition to the team considering it’s his first year on the team,” said Wells. The meet was a dominating win for Huntley that brings them to 9-2 on the year, and gives confidence to the team after coming off a loss to Prairie Ridge earlier in the week. “I know we’ve got a good team, and I was very pleased with my whole team tonight,” said Wells. Huntley’s next meet will be on the road against Hampshire on Thursday April, 16.